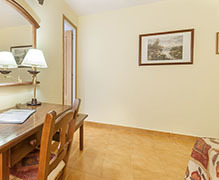 Double room or twin room. Bath, tv and phone. 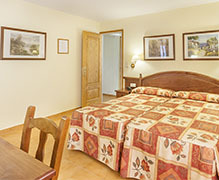 Room with a large bed and a single bed, or with three single beds. Bath, tv and phone. Room with shower or bathtub, phone and tv.